We are a visual production company with an in-house animation studio: we create commercials, music videos, fiction and digital experiences. We represent an exclusive roster of directors and artists, for all types of animation: 3D, illustration, stop motion, real-life rendering, and much more. 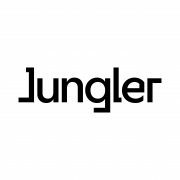 JUNGLER est fier d’accueillir les très talentueux IAMSTATIC dans leur écurie.